I know it’s been a while since I’ve posted, once again. It seems that my blog is always the thing that always gets pushed to the back burner. No matter how much I want to keep it at the forefront, it never happens. I’m just usually too tired at the end of the day to do anything with it. Also, I’m trying to launch my Rodan+Fields business, so that’s been taking a lot of my time. Also, I’ve been pretty busy trying to keep Steven occupied this summer since we didn’t have his summer program this year for a couple of different reasons and I didn’t sign him up for any other summer camps. I think with the experiences we went through the last two years, I just was not eager to have him away from me. He needs structure and with me trying to work (transcription) and start a business (Rodan+Fields), he didn’t get much structure. He did do a couple of Vacation Bible School’s and enjoyed those, but that was it. So, I’m going to have to figure something out for next year. Caleb has been at the treatment center since mid-May. He’s having a roller-coaster ride of behaviors. He was doing well and then we had an off-campus visit. After I took him back (Tony wasn’t able to go on this visit), that week he had 14 incidents, which 10 of them led to 10 restraints. After the next week, he did better, but then he had another difficult week. So, I did a day visit with just him and me, since Tony was busy trying to get his comprehensive exam for his doctorate program finished. We were very proud of Caleb that after that visit he went one week without any restraints. At our next visit we are having an overnight on campus, so his therapist and us are interested to see how Caleb adjusts after this visit. So, with respect to my Rodan+Fields business, I love it. I never thought I would be involved in a direct sales company. I love the products. I use the Soothe regimen. They have greatly reduced the redness on my nose and my cheeks. My blackheads are non-existent. I also use the Multi-Function Eye Cream. 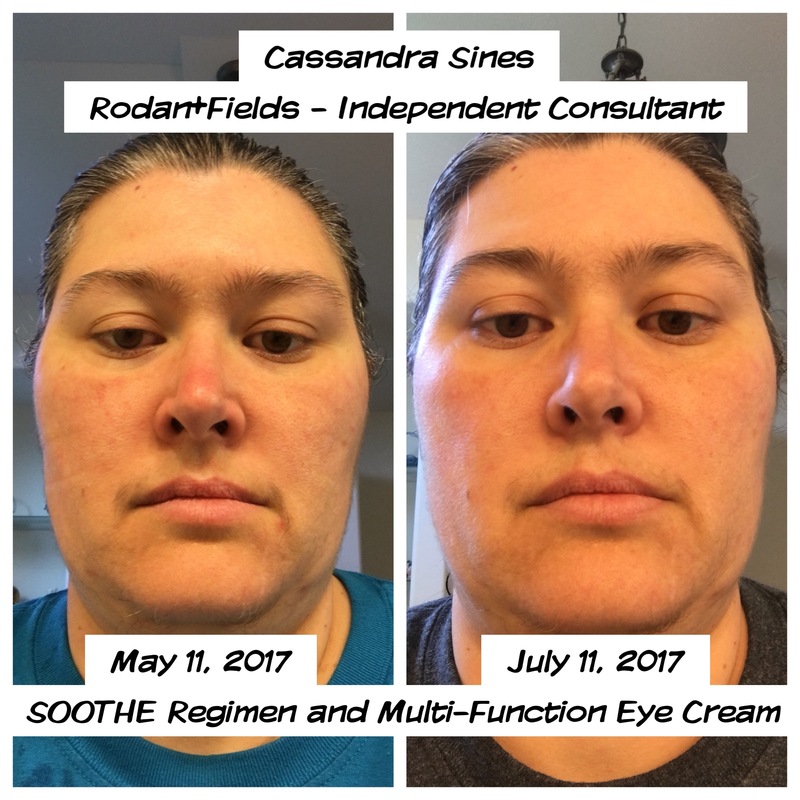 This cream has helped my dark rings and puffy eyes that I have had since I became a mom and have not gotten a full-night sleep. I love what they have done for me. I just want that for others as well. Look for yourself what they have done for me in my 60-day before and after. So, I want to share the latest sale with you on here. Corporate announced yesterday that for every regimen that was ordered (now there are four different regimens so that you can match your specific skin care concerns) and you also bought the Active Hydration Serum, which will increase hydration 200%+ in just one use, you will receive a FREE two-week travel size of the regimen that you purchase. This has never happened before and this is a limited time offer. This is HUGE!!!!! If you are interested, please take the Solutions Tool and find out which regimen is best for your skin and main areas of concern. If you go through all the way to the end and e-mail the results to yourself, I will received a copy. Anyone that does that by July 31, I will put you in a drawing for a free mini-facial. So, that’s a quick update on the Sines Family! Steven actually has just a little over three weeks until school starts! Unbelievable!!!!! Hopefully, I’ll talk to you soon!